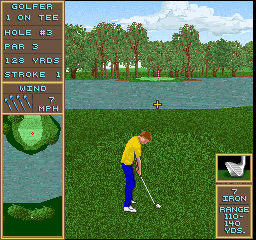 Golden Tee! Everyone has seen it, thousands have played it, we have it…and so can you! 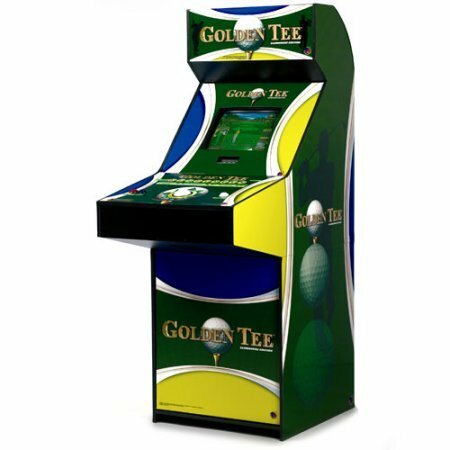 Golden Tee could easily be the most popular arcade game of this century. Enjoy the fun commentary from Peter Jacobsen and Pat Summerall as you test your skill on 5 challenging courses ranging from amateur to professional. All of the courses have been designed to be more accessible to players of all skill levels. Each course has a third drivable par-4 on both the front and back nine, offering more eagle opportunities and more danger! More risk and reward than ever before!